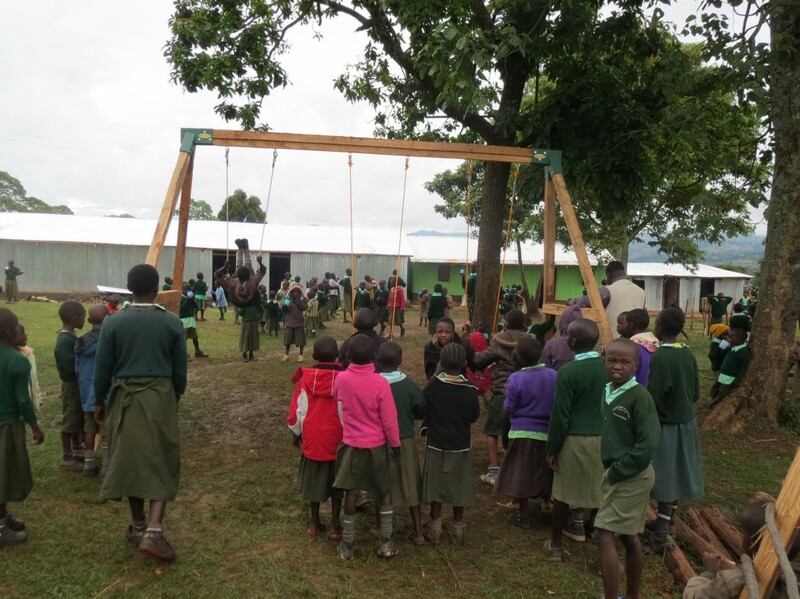 On our trip to Daylight, we were able to build a free-standing swing set for the kids with three swings. Initially, almost all 200 kids gathered around, highly excited as we finished building it. And within a few minutes of completion, with no adult input, they had formed a line behind each swing. The children would count as a student swung 10 times. Then, the next kid in line would get a chance to swing. It’s common in the U.S. to see kids on a playground hog swings until an adult makes them share. You’ve probably seen this. But at Daylight, sharing is a core value, and the kids were so excited about a gift, they wanted to share it with their friends, freely and excitedly. It was a great learning experience for us! And we pray you will follow the children’s lead: share a gift this year to help reach our matching grant this December. We must raise $10,000 to purchase 2 final acres of land. We are pleased to announce that a generous partner has agreed to match up to $5,000 toward this project. For the month of December, every dollar you give will be doubled until we reach this goal of purchasing 2 final acres of land. These two acres are adjacent to the ten acres of land Daylight already owns. We have identified this land acquisition as essential for growth, allowing us to have an excellent location for the water purification system. We would love to take advantage of this opportunity so please consider making a year-end gift to help us receive this matching grant. Consider giving a gift to Daylight in honor of your friends and family. Simply print our Honor Gift Card, or contact us to send the gift card(s) on your behalf.